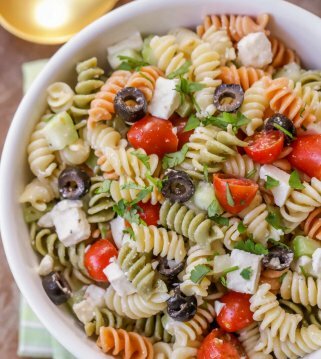 This salad is also so easy and is really quick to make. 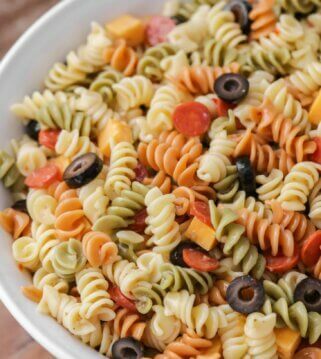 With the avocados in there, you definitely want to try and make right before serving so they don’t brown, but I have a feeling this will be a hit at any party you are bringing this to. The flavor combo is amazing, make it pretty addicting. Before you know it you may be making this for dinner on a regular basis. 😉 It can be pretty healthy for you too depending on the dressing (and how much) you use. 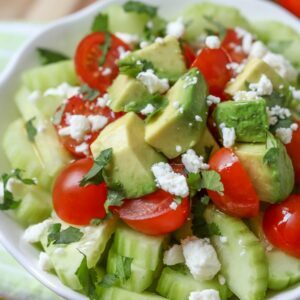 Tomato Cucumber Avocado Salad - a simple, delicious and quick salad perfect for dinner or for BBQs and get togethers. So many great flavors! 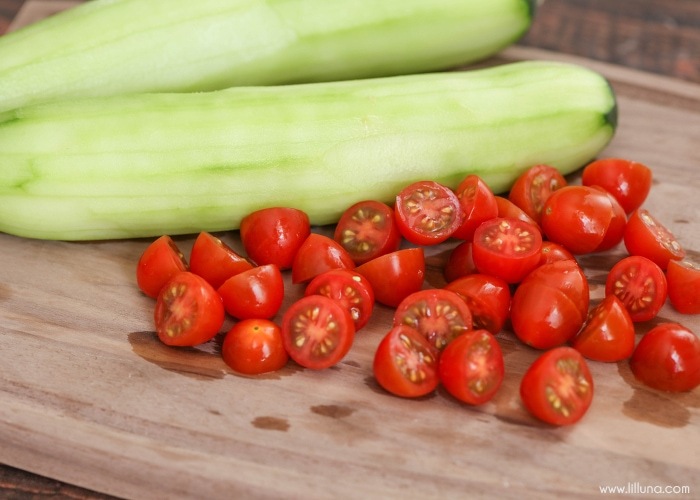 Slice up all your veggies and put them in a bowl. 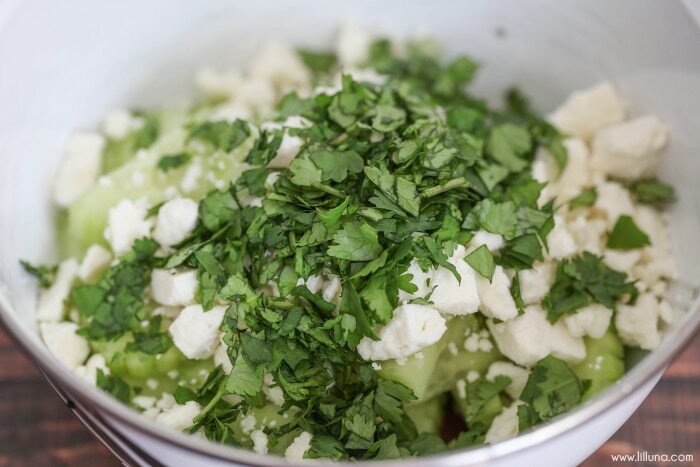 Chop up cilantro and place with veggies along with Feta cheese. Add dressing right before serving. 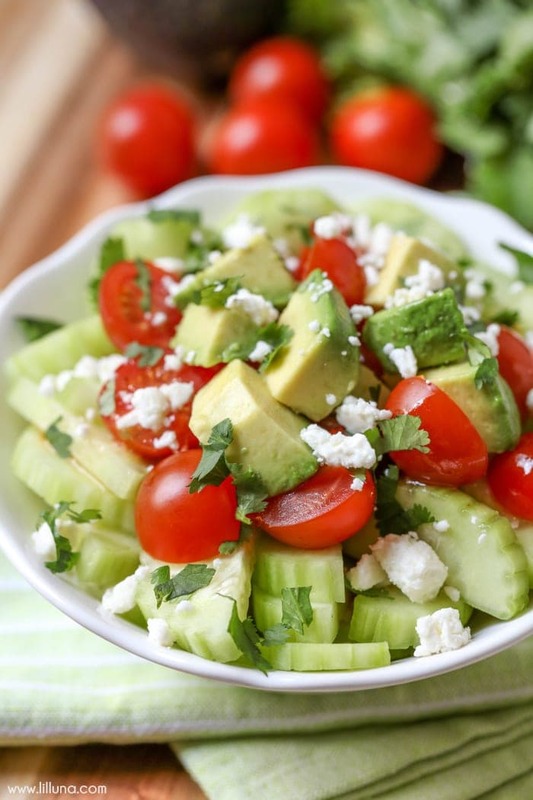 I love simple quick salads and this one is going to become a favorite! I can tell already! I love salads! Thanks for sharing I’m Lovin’ It Link Party. Can you suggest another herb that might work well? This sounds so good, but I’m not a big fan of cilantro. You could try flat leaf parsley, but maybe not add as much as the cilantro amount. Too much, might taste a little bitter. Hope that helps and I’d love to know if you give it a try! 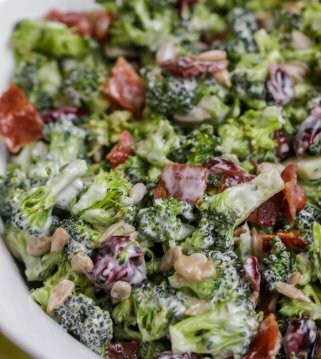 Love this salad Kristyn. Thank you. It sure is!! You’re welcome and thanks for stopping by!! 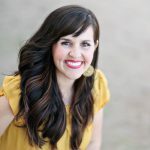 Kristyn, you have an incredible blog with really good photography. Making me hungry. I’ve been browsing around for the past little while. 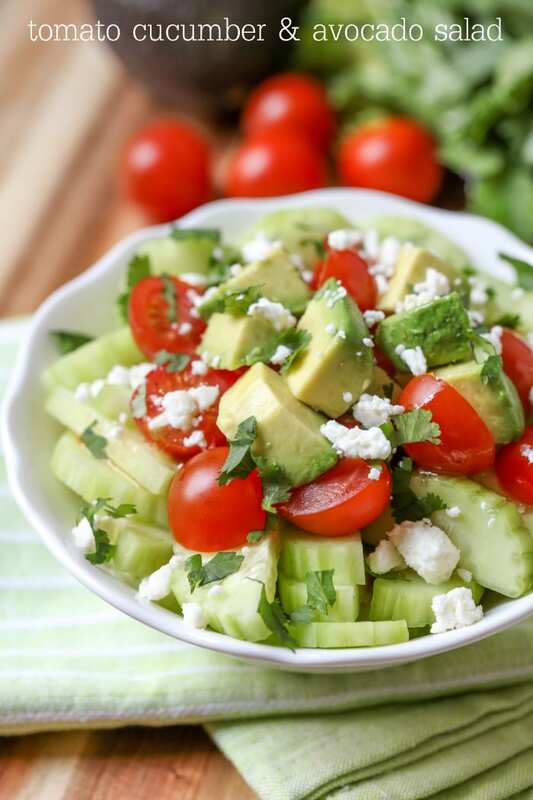 My wife and I really love this love this tomato, cucumber & avocado salad. This might be the first time I’ve ever eaten cucumber & avocado for breakfast – LOL! Anyway, great blog. Wow..thank you so much!!! That’s so nice of you! I’m glad you tried something else for breakfast!! Ive look at all these salads and they loook awesome. Love coleslaw, asparagus avocados cucumbers. All these have a little of everything I love so you know all these will become my family and nit favorites. Thxs for sharing???????? You are so welcome!! I love salads too!